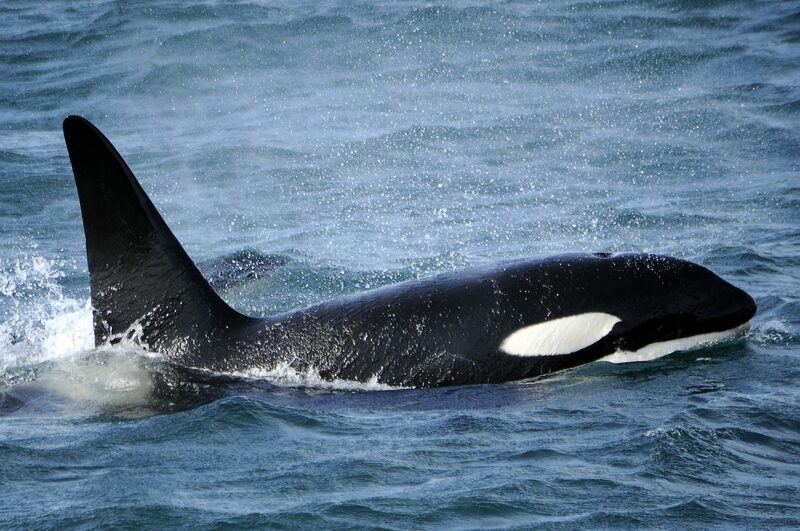 The great phenomenon of orcas converging in our waters, chasing herring, has provided a wonderful opportunity to see these wild mammals in their own environment. This unique trip takes us into the waters where ocean giants swim in the shadow of the magnificent Snæfellsjökull Glacier, on the Snæfellsnes peninsula. 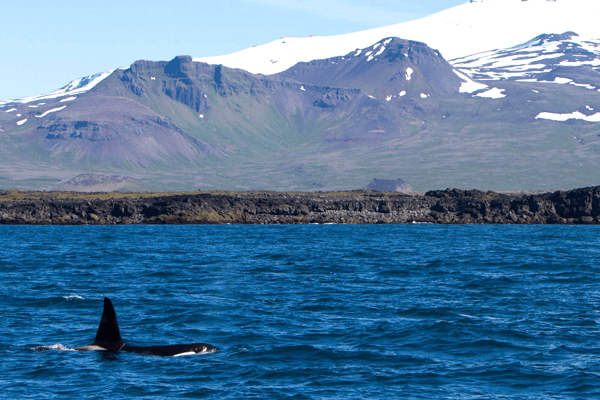 Nowhere else in Iceland is there a better chance to see toothed-whales such as orcas, sperm whales and pilot whales than along this beautiful coastline. 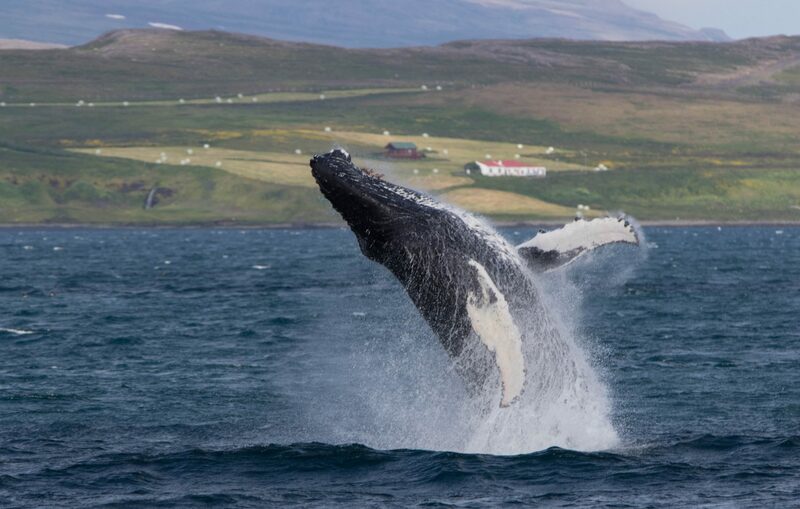 Come and join us for this new and very exciting venture, in a remote, but beautiful and unspoilt part of Iceland, with the most acrobatic species of whales. Spend time with humpback whales with no other boats around as we are the only operator in the area. 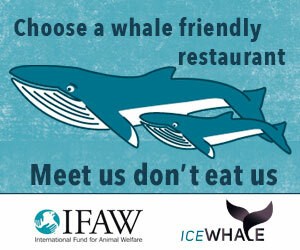 Good for you and good for the whales! 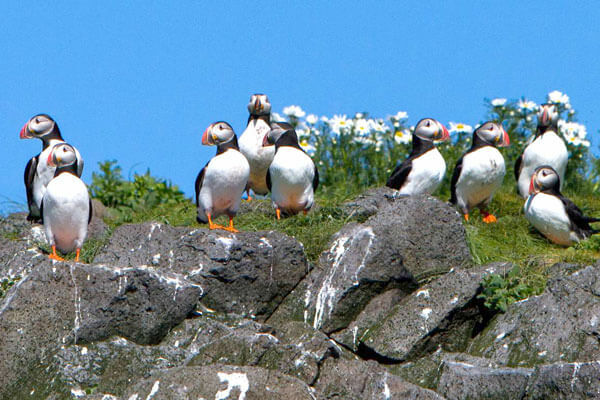 Our Puffin tour takes us out to Melrakkaey island where we get to see hundreds of nesting puffins gracing the island. Melrakkey island is a protected island and is a haven for a myriad of seabirds. Láki Tours sails close to the island to give passengers the golden opportunity of photographing these little birds as they line up on the edge of the island. 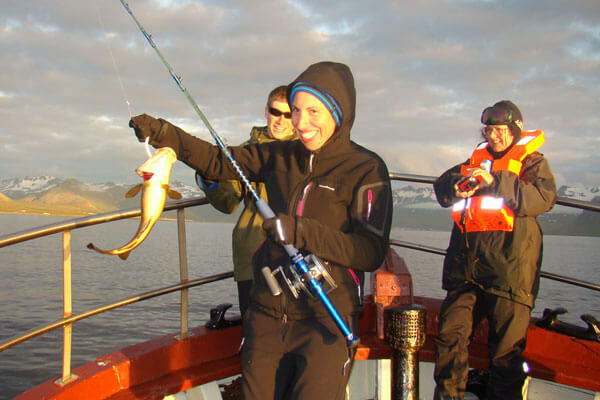 This tour offers a fun-filled sea adventure in the Breiðarfjörður Bay on a traditional oak schooner. We sail out of Grundarfjörður and then get up close to the protected island of Melrakkaey – a veritable haven for sea birds and great for birdwatching. Next we go out a little further for a spot of fishing, trying to catch some cod.